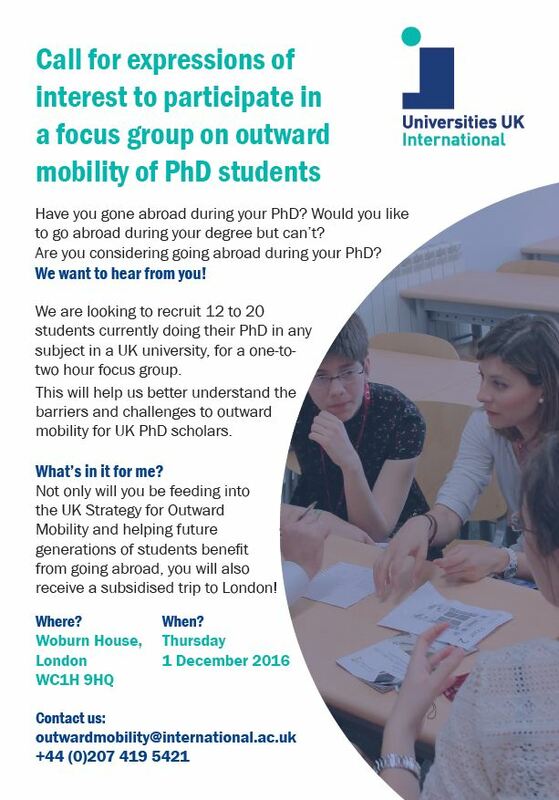 Focus group on PhD mobility – UK PhD students wanted! 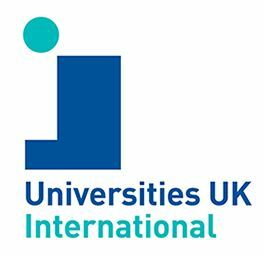 The Universities UK International (UUKi) focus group on PhD mobility will take place on Thursday 1 December 2016 at the UUKi offices, Woburn House, 20 Tavistock Square, London WC1H 9HQ. UUKi houses the ‘Go International’ Programme and UK Strategy for Outward Mobility, which aims to increase the number of UK-domiciled students spending time abroad as part of their UK degree. PhD students are heavily underrepresented in UK outward student mobility figures, and many PhD outward mobility opportunities for UK students – such as the Newton Fund China and India PhD placement calls– are very undersubscribed. To help UUK better understand why this is the case, UUKi is holding a focus group of 16-20 UK- domiciled students, from any discipline, currently undertaking a PhD at a UK institution, who have been abroad, are considering going abroad, have decided against going abroad, or have not considered this option at all. Through this group, they hope to explore PhD students’ perceptions of mobility, as well as to better understand some of the key barriers and challenges they face when considering going abroad. If you have any questions about the focus group at all, please direct these to – Marta Lezzerini: marta.lezzerini@international.ac.uk . See the flyer below for details of how to attend this event. Findings from the focus group will be distributed to both the Newton Fund Network, and the Outward Mobility Network in late December.